This well-designed app is not your ordinary News Reader. Check out Tickers! 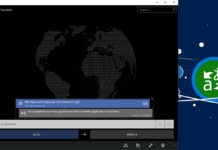 Windows Store has a good collection of News and News reader apps. From the old time favorite NextGen Reader, to Newsflow, ini Reader, and the built-in MSN News app. A new app wants to join the club – Tickers. This app is formerly known as Tickerfeed and was then received a huge update and renamed as Tickers. I am a long time Newsflow user. 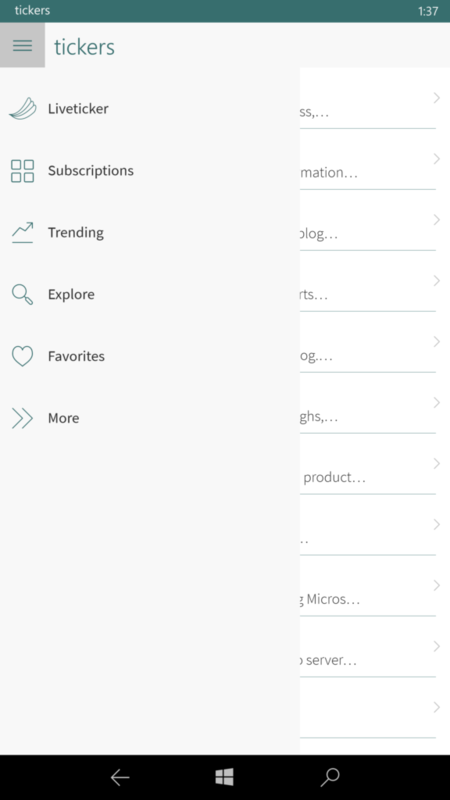 The app is what every RSS feed reader is looking for. You can add almost everything and categorized each feed the way you want. I searched the Store to look for something different and found Tickers. So let’s take a look! In the welcome message, the app will give you a selection of tickers. Select based on your preference. You can subscribe to every section in the ticker. For example, CNN, you can subscribe to All Stories, or just Sports or World only. 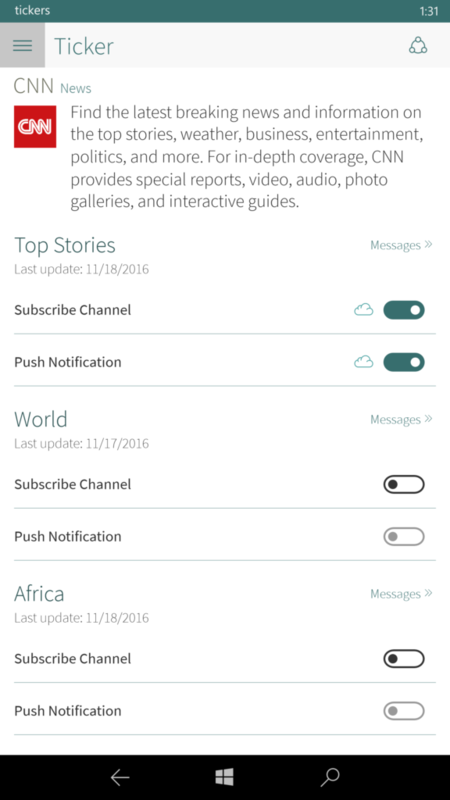 You can also enable push notifications in each subscription. When you tap the hamburger menu, there are 6 selections – Liveticker, Subscriptions, Trending, Explore, Favorites, and More. Liveticker – this is where all your subscribed tickers will appear. When you tap an article, it will bring you the mobile website just like the News app. Tip: just tap Liveticker in the header to “go to top”. Subscriptions – this where you can manage all your subscribed tickers. You can also check the feeds in each ticker by clicking Messages. Trending – is a very neat section where you can find trending news/articles, subscribed or not. 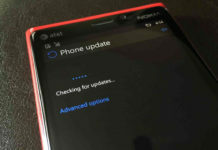 More – this is where you can find the Settings. So what this differs from others? First, you will notice that it has a great UI design. You can use Light and Dark mode. It is smooth and fluid. Of course, the ticker itself. You can create your own ticker (you must register first). So whether you have a small or big website, you can create a ticker for it and share it to your friends so everyone is updated. Tickers app also features synchronization between different devices and cloud backup. 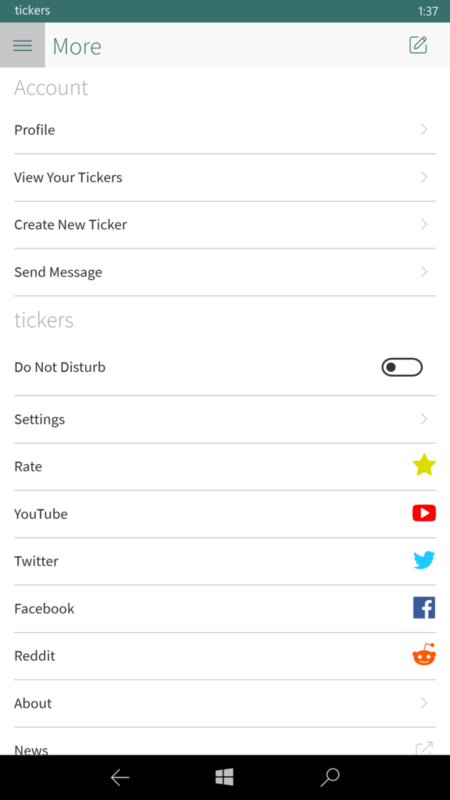 If you are new to the app, you might get confused as what Tickers app really is. Is it an RSS reader? A News reader? A News Hub? or does it want to introduce a new category? So I reached out its developer, Marko Ludolph, to ask some questions regarding Tickers. Marko: It’s a notification service. You can send notifications to everybody with your own ticker or you can receive information in real-time by subscribing to channels. That’s important, you can do both: create or receive real-time notifications. Think of it of a twitter clone, where you don’t have to register an account and without all the social media stuff around. You can just follow other users anonymously. 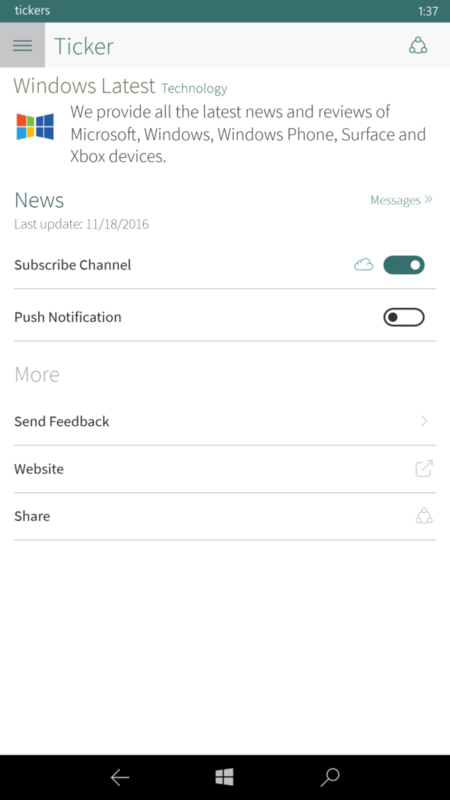 Is it an rss feed app or a News app? Marko: None of the above. It’s a notification service. So, tickers is basically superior. You can use it the way you want. If you want, you can setup the channels of your ticker with RSS Connectors and you basically have a rss feed reader. So basically, it is more than a News or an Rss app. It wants to create a new way of giving or receiving information from different entities or individuals. Be it a breaking news, a review, or just an update to your picnic event. The scope is wide. The app is very interesting to what it promise it wants to be. Tickers app is currently in active development so you can give feedback to the developer. -Categories so you can organize your subscribed tickers. Overall, Tickers is very impressive! 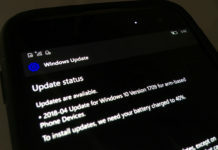 The app is available on iOS, Android, and Windows 10 (UWP). The app is free to download! Click the link below to check the app! Give it a try! 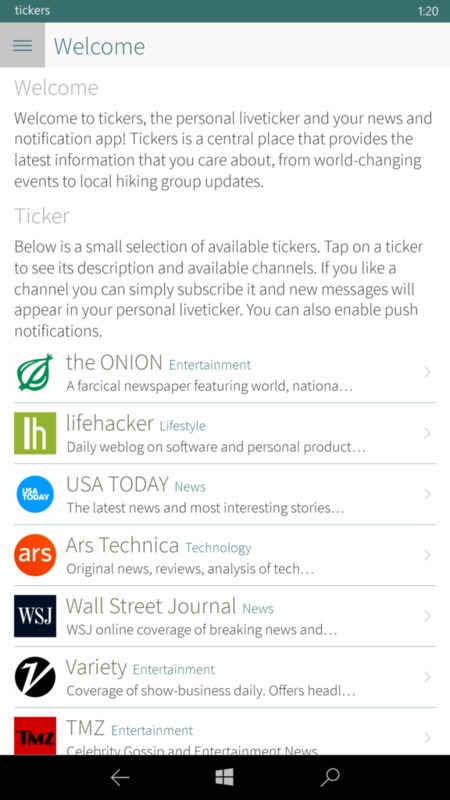 Tickers is your personal liveticker, your news and notification app. Everything can be a live ticker: News from a website (or your own blog), current results from a football game, live coverage from an event or even a YouTube channel. Subscribe your favorite tickers in the app — enable push notifications, if you want — and you will never miss anything important again. Or build your own ticker and share it with your friends and the rest of the world. Use RSS-Feeds, YouTube channels and other sources to post new messages automatically to your ticker.